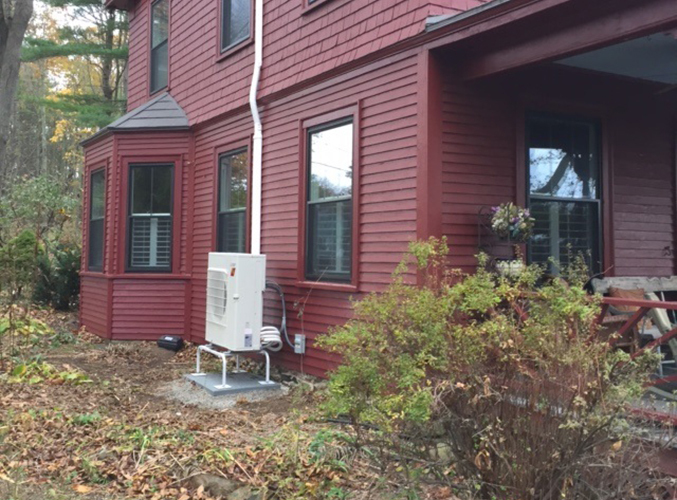 Problem: Inadequate heating system created hot/cold spots in this old home, especially in the main living room area during heating season. 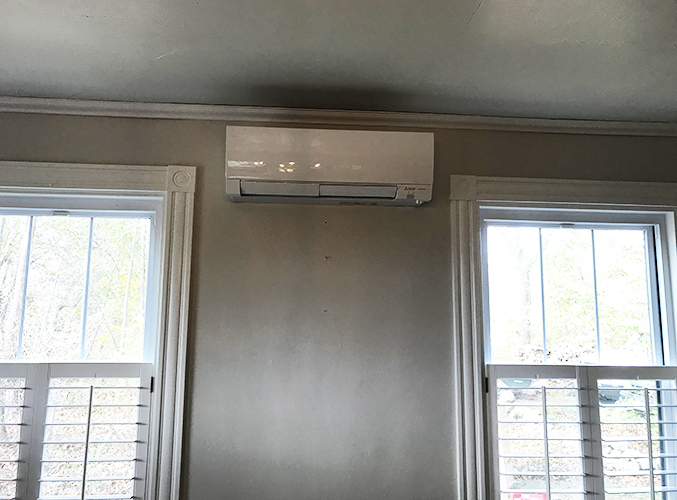 Solution: Dual-zone Mitsubishi Electric hyper-heat system with one indoor head in the living room, and one above in the master bedroom. We got to kill two birds with one stone for the owner of this historic home in York. The existing heating system left important areas of the first floor cold and uncomfortable during the winter months. Conversely, the 2nd floor master bedroom was always stuffy and uncomfortable during the summer months. 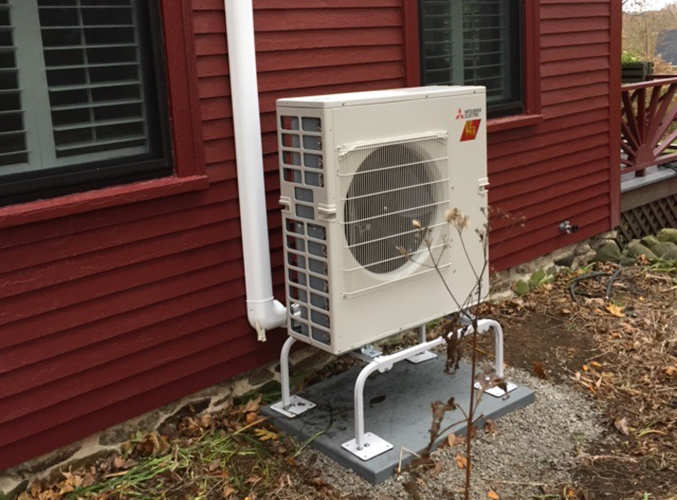 Like so many other homes in our area, the two rooms “stacked” nicely, which makes it easy to locate a single outdoor unit at ground level, with a single line enclosure to “hide” both sets of lines to the indoor units. This line enclosure is shown in trim white, but will likely be painted in the spring to match the red home.